The Romans never had it this good. 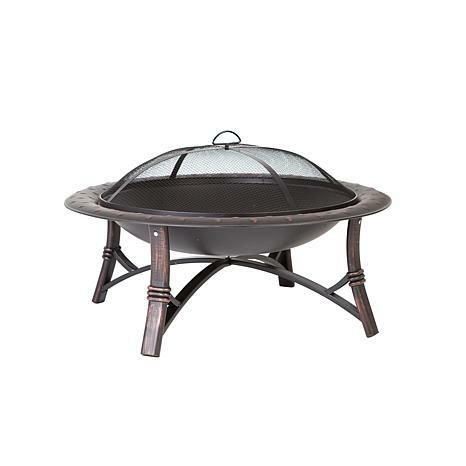 Enjoy outdoor entertaining with this attractive 35" high-temp antique bronze painted steel fire bowl with hammered lip and brushed painted steel legs. 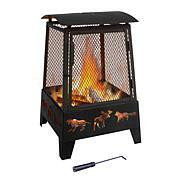 The unit comes complete with mesh fire screen, a wood grate and a screen-lift tool. •WARNING: Combustion byproducts produced when using this product include carbon monoxide and other chemicals known to the State of California to cause cancer, birth defects or other reproductive harm. For more information go to https://www.p65warnings.ca.gov/. Love it have had a few fires in it, and plan to have more! 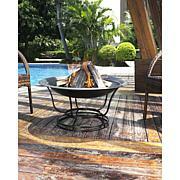 Great price for the fire pit to! This is a birthday gift for my husband. I'm sure he will enjoy it. And easy to put together. Seems a bit lightweight, though, so I'm not sure how it will wear yet. 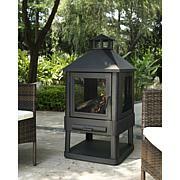 Create a relaxing outdoor environment around this stylish Crosley fire pit and enjoy hours of fireside heat with family and friends. Just add marshmallows and campfire stories for the perfect at-home gathering.